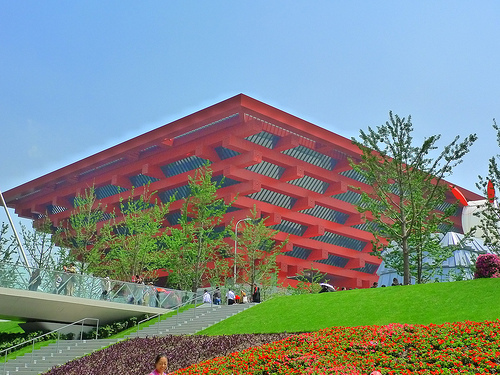 The Shanghai expo was like going to Disney’s Epcot, minus Mickey and rides. A walk around the world featuring unique offerings from each country. I spent a total of 4 days there with my dad and we didn’t see everything! 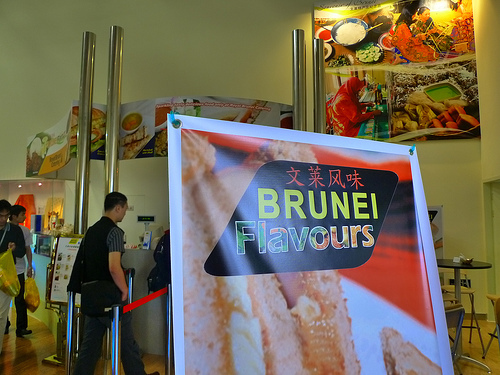 Food wise on DAY 1, we tried Brunei, which is like a cross between Malaysian and Thai. 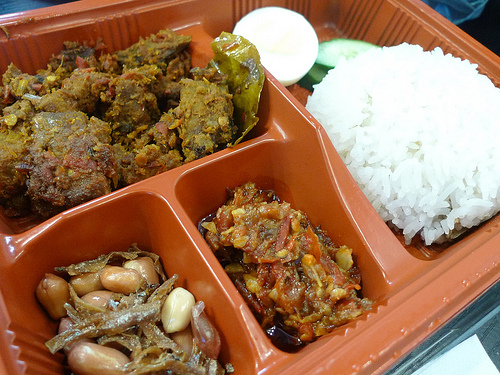 The beef had a lot of different spices and strong lemongrass flavor. It was quite spicy and almost the texture of beef jerkey. The peanuts and fish is side dish Chinese people eat as well. Super crunchy. • ITALY with it’s pasta room, giant gowns and live Ferragamo shoe making!!! • UK with their millions of actual seeds placed inside these clear tubes, amazing!! !